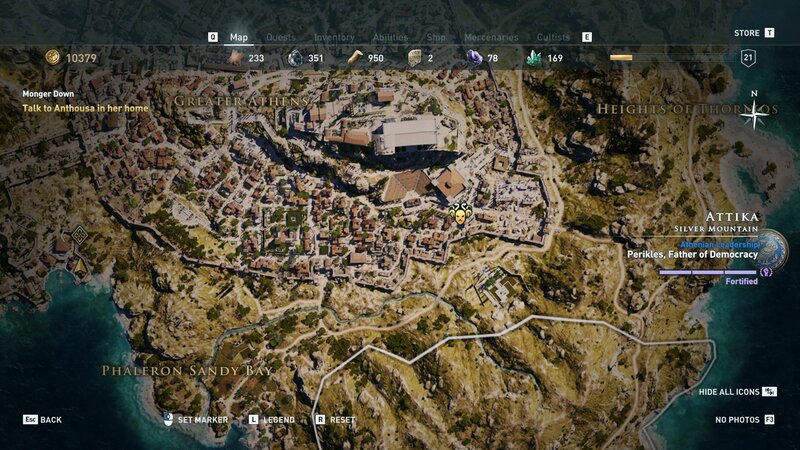 Locate and eliminate The Eyes of Kosmos from The Cult of Kosmos in Assassin's Creed Odyssey. As players progress through the main story of Assassin’s Creed Odyssey they’ll stumble across The Cult of Kosmos, a group looking to control Ancient Greece from the shadows. The Cult of Kosmos is broken into several branches, each with their own Sage (leader) and individual members. The first branch you’ll encounter is called The Eyes of Kosmos, and this guide will help you unlock the locations of each member, collect all pieces of the Snake Set legendary armor, and even score the legendary Dagger of Kronus. Elpenor is found through the main story and should be impossible to miss. Elpenor is a character that players will meet through the main story of Assassin’s Creed Odyssey and one that will kick off the hunt for The Eyes of Kosmos. Players will eliminate Elpenor during the Snake in the Grass quest. If you cannot find the Scaled Torso legendary armor piece he drops, return to the cave where you killed him and loot his body. Sotera walks near the docks. Swim behind her and kill her away from the guards. Sotera is easy to track down because the clue to find her is given during the main story quest, The Serpent’s Lair. She is found in the Port of Nisaia and can be found incredibly close to the water’s edge, making the approach rather easy to eliminate this target. 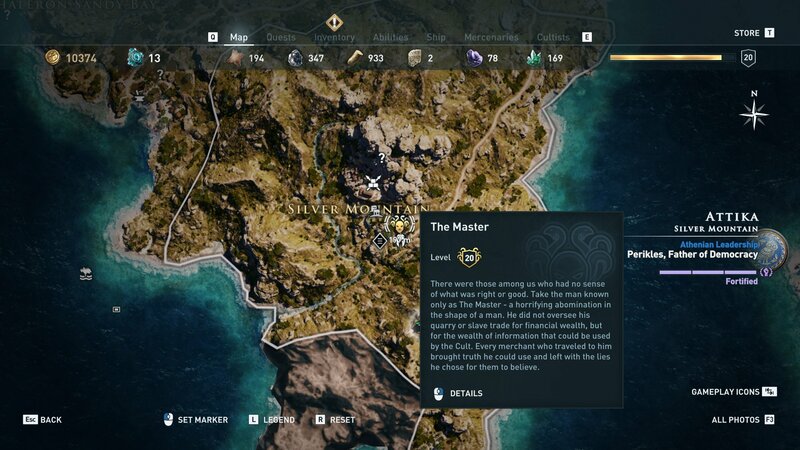 Finish all main and side quests in Attika, then travel south to find The Master. Probably the hardest of The Eyes of Kosmos to unlock. You must progress the main story through all of Attika, and then start knocking out the side quests. Eventually, south of Greater Athens is a quest called A Life’s Worth, which is what introduces The Master. 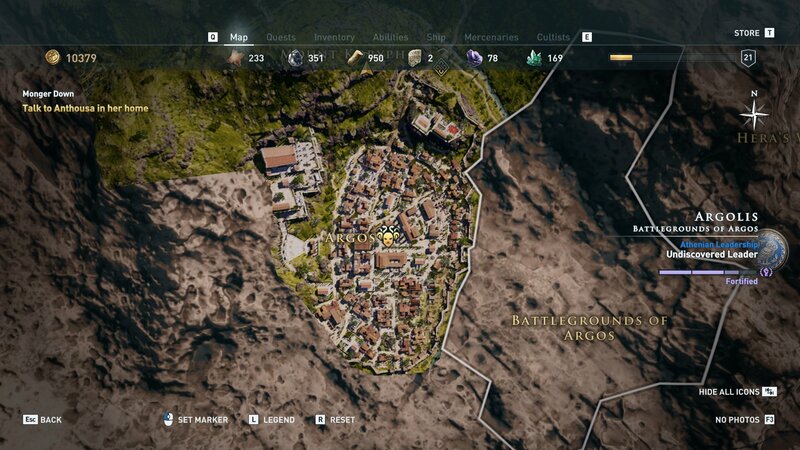 If you don’t see it, keep doing all side quests in Attika. 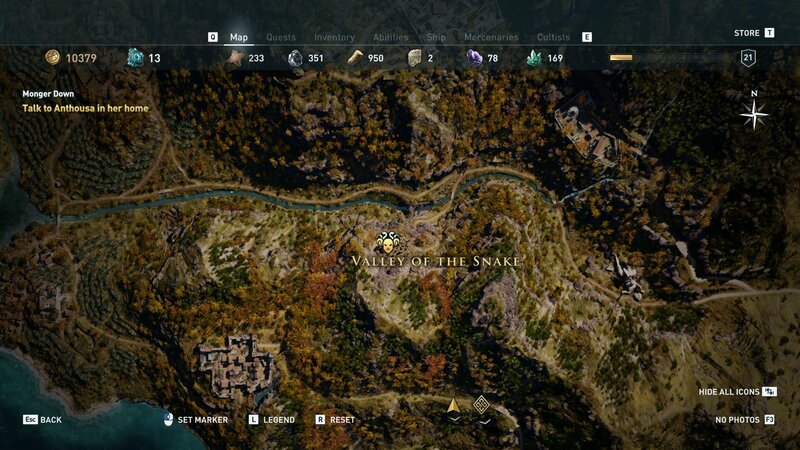 After the quest is complete, I had to fast travel to the nearby synchronization point, then track The Master from the Cultist menu, at which point he appeared on my map. Hermippos is in a heavily guarded area but can be taken out with Hunter abilities at range. 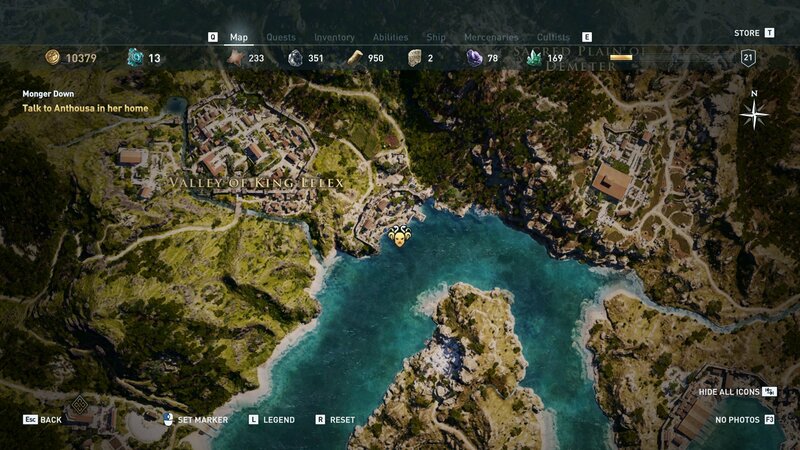 After pushing the main story quests through Attika, side quests will begin to pop up in the Greater Athens area. Complete Citizenship Test and Witness Him, then Free Speech. 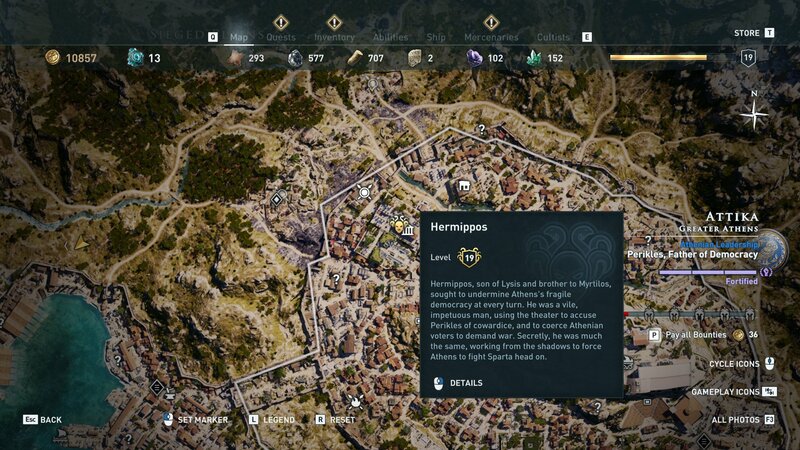 The latter is the side quest that will reveal Hermippos as an Eye of Kosmos member and provide his location. Midas is heavily guarded. He's easy to kill, but confirming the kill will be complicated. You should get Midas unlocked by completing The Serpent’s Lair quest. He’s easy enough to kill but is in the open and surrounded by lots of guards. Confirming the kill could be difficult given the enemies, but a little patience and roof cheesing should help you get the job done. Nyx the Shadow is alone and was easier to kill and confirm than some of her minions. The Sage for The Eyes of the Kosmos is Nyx the Shadow. She can be found southeast of the Statue of Athena in Greater Athens, Attika. You must first eliminate all Eyes of the Kosmos to unlock her location. She travels alone, so this shouldn’t be too difficult if you are properly leveled. Having all five legendary Snake Set armor pieces equipped will activate a perk that grants +10% Intoxicated Damage and Weakening Effect. You do not need to equip the Dagger of Kronus for receive this bonus, but that weapon alone grants +40% Damage when Attacking from Behind. 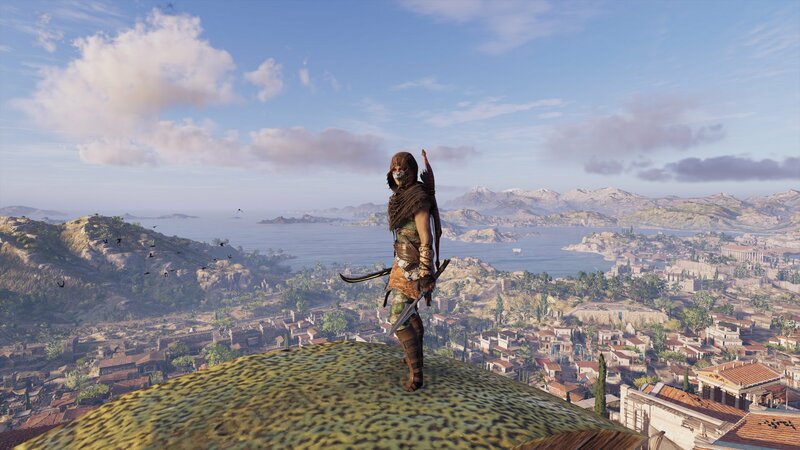 With the Eyes of Kosmos gone and the Nyx the Shadow Sage also in the ground, return to the Assassin’s Creed Odyssey walkthrough and guide to continue your journey.